A breakup or divorce can be draining. Very few people are able to take on a breakup or working with a divorce attorney and continue with their life without breaking down either physiological or physically at some point in their lives. It can be even tougher if you had someone overly obsessed with you, or someone you loved deeply. Many relate the experience to addiction withdrawal. Nevertheless, with the right attitude and drive, you should be able to go on with your life and even overcome the breakup or divorce. Here are five tips on how to survive a breakup or divorce and rebuild your self-esteem. This is the best time to give yourself a treat. Plan a trip to visit your loved ones, go for a road trip, get a massage, or even finish up that book you’ve been reading or working on. Try to watch a thrilling movie too—stay away from romantic/wild ones at this point. Set some time aside to see a coach, or a therapist to help you cope with the breakup or divorce. Seeing a therapist should also help you identify patterns you ought to avoid in future relationships. Your body and soul need some self-tender love and care during the healing process. 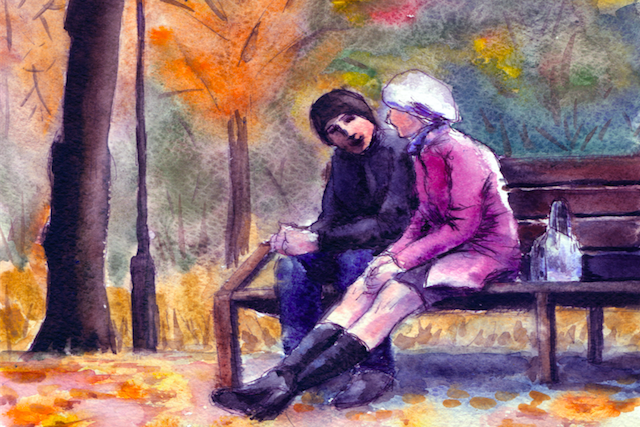 Just because you aren’t with someone doesn’t mean you should start flirting or dating right away. Jumping into another relationship without giving your heart time to heal will only result in more heartbreak. Don’t date, at least for the next few months, until you feel ready to. Most people are too vulnerable after a breakup or divorce. Many will end up dating anyone just because they showed them some interest or a shoulder to lean on. It would be best to stay in the company of friends and family to give yourself time to heal. Use the ‘healing’ time to identify red flags in the previous relationship that you ought to avoid in the future. Proper communication is often a flaw in many relationships. Try to see how you can mend this to be a better person. Occupy yourself with other activities such as unpacking, doing laundry, or participate in outdoor events to help the brain relax as well. Although many will advise against this, writing a letter to your ex to discuss your thoughts and feelings about the relationship, the good moments and the bad ones, can have therapeutic effects to your heart and soul. Be sure to note down the good and bad times you spend together. You, however, shouldn’t send him/her the letter. Keep it in a safe place for a day or two, then destroy it. If it’s on your computer, delete it, or toss the paper in a bonfire. Many people do this as a healing ritual. Writing the letter and burning it helps you release him/her from your heart. This enables your heart to accept someone else to replace him/her. It would also be best for you to make peace with the past relationship to have a healthy one in days to come. Many people start second-guessing themselves after a breakup or divorce. While this is entirely normal, you need to rebuild and reestablish your confidence. Note down your strongest/positive attributes including what you appreciate and love, about yourself. Bragging about yourself at this point is ok.
Once sure you’ve noted down all the positives, you can then start reflecting on the parts you don’t love so much about yourself. You need to identify these to see what can be done to make them better. Look for that sincere and honest friend and ask them what they like about you. If this seems too much for you, seeing a therapist can help you get back on your feet. After you’ve taken time to grieve your lost love, let go, and learned to love yourself as well as appreciate others, open your heart to let someone else in. Wallowing in sadness and anger for too long will only hurt you further. Remember to handle any person that comes to your life innocently. Don’t try to compare them to your ex or spend too much of your dates talking about him/her. Never project your ex’s negatives and shortcomings to the other person. Doing so will only hurt them or even push them farther from you. Give them a chance to prove that they indeed are interested in you. Laurence works for a family law attorney in Houston. He is usually the one who performs counseling for couples who are planning to be divorced. He has already satisfied clients all over America.